Recognising and rewarding employee contributions and accomplishments are an important part of creating a quality culture. When employees know that their efforts are appreciated, it increases their self-esteem and satisfaction with their job. Their improved attitude toward their job encourages them to aim for quality and increases productivity. Not all employees or organizations will respond to the same type of recognition. Some employees, for example, will respond primarily to rewards that have substantial value, such as a percentage of the cost savings from a suggestion. For many employees, the value of a reward is not as important as the fact that they know that their contributions are valued. 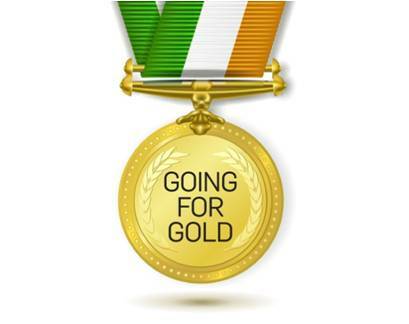 In addition to reigniting the passion and enthusiasm of our many hundreds of staff, GOING FOR GOLD was set up to ensure that those who strive to deliver outstanding results will be recognised at the highest level within our organisation. It also endeavours to further build a culture of pride that becomes very much a part of our business DNA, and one which we individually and collectively nurture and protect. How does Employee of the month work? Each Regional Sales Manager or Office Department Manager of each key business channel nominates one individual who is considered their best performer for that month and reasons why. Then our Senior Management Team determines the monthly winner based on supporting evidence. How does Team of the month work? Each Client Service Manager or Office Department Manager in each key business channel nominates one team who is considered their best performing team for that month and reasons why. All monthly winners of the Individual and Team Awards will be in the running to win the very prestigious “Employee of the Year” and “Team of the Year” awards. These awards are presented at the final CPM Company Briefing held each December with all monthly nominees invited to attend. In memory our dear friend and colleague Maggie who passed away on the 3rd May last year we also have a very special award that we have dedicated in honour of Maggie. This award is considered to be the most prestigious of the CPM awards. This annual award recognises 12 months of outstanding performance across all measures (eg outputs, KPI’s, client service, problem solving, leading by example, strong leadership, representing CPM values etc). At the end of 2013 we recognised and rewarded some real stars in our business. We had a hectic year; one of major change with some excellent people moving on to new pastures CPM was set the task of replacing them with new, competent and enthusiastic people. Both our recruitment and payroll departments experienced this big transition. Two areas that rely heavily on the business running effectively and efficiently – without recruitment & HR we’d have no staff and without payroll we would not have staff for very long! As Ireland’s leading Field Marketing Company, our business is our people. We rely on their expertise to ensure we deliver excellent service and performance and keep strong partnerships with our clients. Such a big change of resources in both our recruitment and payroll departments could have been very risky for our business but the people within these departments and the new starters ensured that the delivery of service, performance and client relationships were unharmed and therefore the choice for Individual award, team award and the Maggie award were a given. Despite not being fully trained on Payroll, Karen steadfastly kept the department functioning during a difficult time of transition. Her focus and commitment to paying people on time has been a shining example of someone’s efforts outweighing the skills required to do the job. Although new to CPM, Karen embodies all that is good about CPM. For HR it was their ability to manage so efficiently and effectively in Aoife’s absence and to such high standards and Recruitment based on eircom ramp up and the commitment, professionalism and delivery of a massive increase in headcount in a short space of time. Together HR & Recruitment have worked effectively as a team to work without Aoife delivering a very strong performance. We cannot end this article on reward and recognition without also mentioning our employee of the year in the field. Our Field Teams are the core of our business and the people who keep our clients happy on a day to day basis offering service excellence, best in class performance and strong partnerships with our clients. Employee of Year (Field) – Seamus Murphy – Client Service Manager Seamus took on full responsibility for one of our largest direct sales accounts following the departure of two Client Services Managers. Seamus reacted positively to all the extra responsibility and introduced a number of new initiatives in his new role as well as delivering on target for the client.